Writing has gotten simultaneously easier and harder over the last twenty years. Easier, because, bluntly, I’m better at it now than I was 20 years ago. Better at which parts? All of the parts. There are literally no technical aspects of writing (including the technical aspects of creativity) that I don’t just simply do better. Much of that would obviously be down to experience. 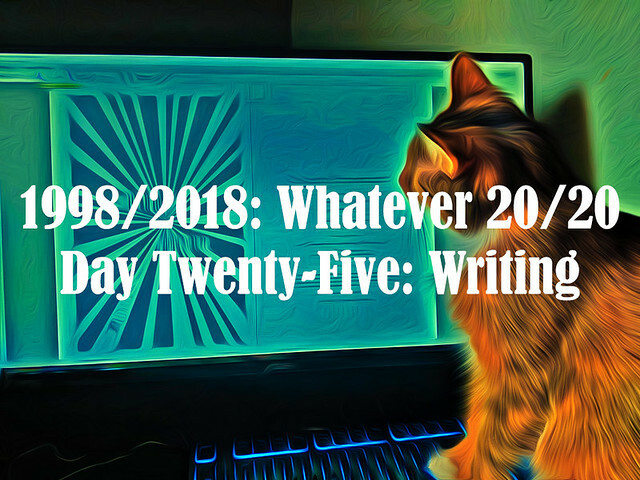 Twenty years on from 1998, in which I was still in my twenties and hadn’t written much in the way of fiction, I have a wider range of writing experiences, and I’ve written more in each sort of field. I have gotten feedback from editors and readers and from my own observation, have incorporated all those, to greater or lesser extents, into my writing practice. This means that here in 2018 I am generally in control of my instrument. Let me give you an example. When I set down to write my first couple of novels, I had very little idea of what I was doing, and basically had to discover the story in the writing. Not only could I not have told you at the outset what twists and turns were coming into the story, but I didn’t know what I wanted out of the characters or the action until I was in the middle of the writing. I was a good writer back then, but I wasn’t entirely in control of my instrument: my creativity, my technique or my intent. My first few novels are good novels, but the process of writing them was creatively very messy indeed. Contrast that with, say, The Collapsing Empire (or its follow-up, which is out in three weeks(!)). For that one, I knew what I wanted it to do, I knew who I wanted the characters to be, and I knew how to make the writing do exactly what I wanted it to, when I wanted to do it. That book is exactly the book I intended it to be when I set out to write it — which is different than, say, Old Man’s War, in which I didn’t know how it was going to turn out until I wrote it. But it makes a difference to me, the writer. When I started writing novels, it was like throwing myself off a high cliff and inventing a glider before I hit the ground. Now I launch with the glider, and get to tell it where to go. And not just with books — again, every type of writing I do, I do better now than then. Experience counts. But it’s also become harder, because I don’t have the same life as I did in 1998. In 1998, my life was relatively simple. I had to hustle for freelance gigs, which is a thing, but the goals of each freelance gig were relatively small and executable. It’s not that difficult, for example, to write subheads for a brochure about investment vehicles, or a short review of a music CD. It could be done fast and the stakes were low (and if I didn’t do it right, it was also easy to implement an immediate fix). I mostly stayed at home and I mostly had a low profile in the world. Here in 2018 I write novels, which are long (by definition) take time to write. I have a significant contract and I am well-known in my field, so what I write has at the very least commercial significance, and people are counting on me in a non-trivial way to do what I do in a way that’s competent and commercial and robustly marketable. I also have to be reliable, so that when (for example) I have to turn in a novel under a tight deadline, I can be relied to do that, and to address the follow-up editing quickly. I travel extensively to promote the work I do, which eats into my writing time. I have multiple projects in the air at any one time, many of which require work that is not directly related to writing, or at least writing that’s public-facing. The audience for my notes about treatments for TV/films projects is limited indeed. Also, life! It’s busy and complicated as it is, I dare say, for most people, especially these days, when the world is on fire in a way that it hasn’t been before, which is distracting and enervating. But even moving away from the monumental distraction that is our current political shitpile: Kids and spouses and family and extended family and friends and all of that, too. To be clear, most of that is pretty good! But even when it’s pretty good it still takes time. It’s supposed to take time. Plus, I’m old(er). I don’t want to say my brain is slower than it was when I was in my twenties, but one, just because I don’t want to say it doesn’t mean it may not be true, and two, even if it’s not slower, it’s still true that it handles the writing process differently. I write novels differently now than I did when I started writing them; hell, I write them differently now than I did five years ago. To put it more directly, in the last twenty years, and especially in the last few years, my writing process has to make way for the world far more than it used to, for all the things that the phrase “the world” can encompass. And you know what? That makes it harder. 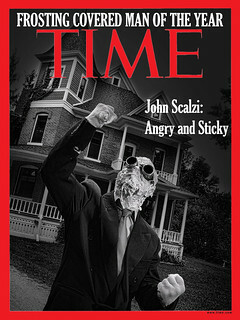 And, yes, I know: World’s tiniest violin, oh, poor Scalzi. I get that. But, look: I’m not actually telling you to pity or sympathize with me. 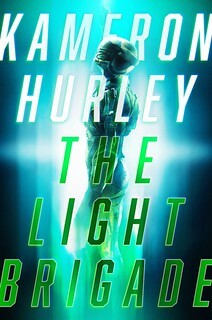 I’m merely fulfilling the brief of this series. I’m telling you, on this subject, how things are different for me now than they were two decades ago. I want to be clear I don’t regret most of the circumstances of my world right now (I regret Trump is the president, a lot, but I didn’t vote for him, so at least on that front my conscience is clear), but I think that even good things have some consequences, and they have an impact on your life. And in my case on my writing life. So writing today is both easier and harder than it was twenty years ago, and the end result of both of those is… mostly imperceptible from the point of view of the reader, I would guess. The books come out more or less regularly, the other work also appears in a predictable fashion, and at the end of the day, experience seems to replace what the world takes away — or at least, offers a way to compensate for it, which is not quite the same thing, but works very similarly. I think from your point of view, nothing much has changed, in terms of my writing. I’m happy to keep it that way. I don’t know, I’ve actually heard from established writers that their characters can have minds of their own? So it could be writing habits in addition to experience? Characters don’t have minds of their own; they’re in the writer’s head. BUT it’s certainly true that in the process of writing the character, the writer can discover things about the character (and themselves) that will lead the writing of the character down a different path than originally intended or expected. That’s happened to me. How do you write your blog posts so fast? (Judging from the output.) Even if I’m writing about something I know about, it usually takes a bunch of hours over several days to get (say) 800 words right / polished / coherent / etc. You seem to be able to do the same in just a couple of hours (guessing). I’ve been wondering about this forever. Do you do “beat sheets” for outlining these days? I was reading a book on story structure (Larry Brooks “Story Engineering”) and he highly recommended beat sheets. Otherwise, what is your outline process? I’m always interested to hear the journey of other writers. I think it’s different and in many ways the same for each of us. I’m a newbie to the creative writing world (I write scifi) and like you were in your twenties, have not learned to control my storiest. I don’t outline because it stifles anything and everything that is meant to flow from my brain to paper. But that’s just me. Everyone is different and I believe there are no hard and fast rules to produce anything creatively. I’m working on a manuscript and expect it to get rejected by everyone. I’m realistic. It’s my first. But you know, I’m looking forward to the rejection becasue I’ll learn from it and become better. Maybe in twenty years I’ll be where you are now. Who knows? Regardless it’s a fun ride. Previous experience as a journalist, mostly. Daily deadlines for years are wonderful training. John – not to be a noodge, but if you could ever distill that journalism experience into some guidelines that would be very helpful. There are apparently as many writing styles and processes as there are writers (I know, pretty obvious). I read writers who admit to processes that are basically the opposite of yours, but those writers still manage to turn out good work. For some of those writers, their process hasn’t evolved at all over their entire careers (that they’ll admit to, at least). It’s also not clear to an outsider that writers even get better (from the reader’s point of view) with time and experience. All of which is wrapped up into what you said about none of this mattering at all to the outside world. Hilarry Rettig, you might try asking your local librarian if there is a local community of writers you could join, even if you have to drive to the next town. I don’t think I would have advice for you, unless maybe I wracked my brain, but if you like you could click on my name/blog link, and contact me in my comment section. KathyK, my library does have “The Consuming Fire” on order…but they only ordered a single copy, and there’s already 39 holds on it! That computes to about two years wait time! Also for Hillary, by odd coincidence I was daring the Dread Random Link at the bottom of the page and happened upon a post of advice to teen writer aspirants – so there is advice from the great man his very own self within this blog for at least some people. I’m pretty sure I spotted some other advice related pages during my meander. @Hillary Rettig Daily deadlines, for me, were a practice in getting to “good enough.” You’re done on time because if you aren’t the whole process collapses and you have let down a lot of people who are counting on you. (Not everyone can thrive in that kind of atmosphere, obvsly.) If it wasn’t great today, there’s always tomorrow to do a better one. Newspaper stories are self-contained, and when they’re done, they’re done. It also helps that classic American newspaper stories are very much a form, like a sonnet or a sestina. Do enough of them, and you can feel the rhythm, you can knock them out more or less like clockwork. Microsoft Word tells me that this blog entry is about 1200 words. My guess is that it took our gracious host not more than two hours to write this up, and closer to one. It’s good enough, and it’s out there in the world. I reread “The Collapsing Empire” yesterday in preparation for the release of the sequel. I’d forgotten just how good it was. Lawrence Block made the same point about age: better skills but his mind wasn’t as nimble. Pianoman, fear not! Those 39 people will race through the book and return it before its due date. John, thanks for sharing that. Now I feel a little better as I try to get over the hump of my first novel — because i feel as you described, like I’ve jumped off a cliff and am trying to build a glider in the air. My hope is that I’ll develop a process that keeps spontaneity and serendipitous discovery, but with more organization and productivity. “Manuel Royal” has existed about nine years now, as I’ve gotten grayer and crankier. I’ve gained some skill, and weird ideas still float up in my mind like the icosahedron in a Magic 8-Ball, but there are spots in my aging brain where the file indexing and access mechanisms jam up. Thank god for thesauruses.